I have recently been revisiting the sounds that inspired me in my youth. 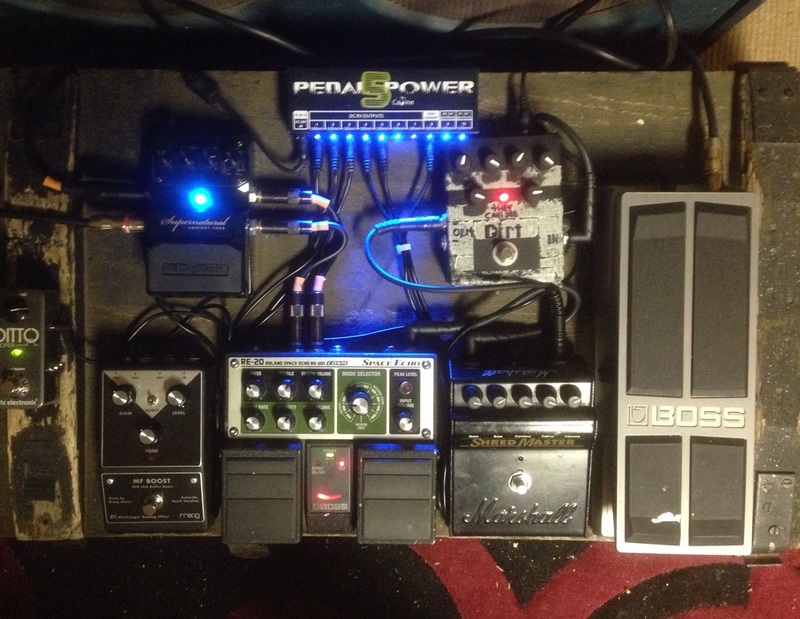 I have added a modded tubescreamer clone that I built years ago and placed it just beforw my shredmaster in the signal chain using the shredmaster as an overdrive. This added three dimentions of dirt to my sound.The TSClone dialed where it breaks up loosly on the backend of a low cut high mid semi bluesy/gritty tone. The shredmaster is set for a midcut - with the lows and highs giving a punchy lowend and almost buzzsaw grind on the top end. When paired up the signal goes into hyperdrive with a full bodied layered distortion that would pound life into the heart of any new metal aficionado. With the addition of a volume pedal there are countless layers of grit that you can explore on the fly without adding to or taking from the setup.My signal chain is finally true bypass from dirt to modulation ..making my transitions seamless which helps me get more content pushed into a single track while recording without worrying about undesirable variations in the quality of my output. So...Dave...when you decide to change up your pedalboard again...let this be a point of reference so you can find your way back.